The single arm combined stone sawing machine in the combination saw based ,it has changed the traditional vertical slide guide by optimizing the modified by four column hydraulic precision orientation.It has high guiding precision,small vibration,these advantages make it popular.Due to the rigid,with small clearance and lubrication advantages make the single arm combined stone sawing machine sheet thickness error is small,smooth surface of high.What’s more ,the service life of the cutter head saw blade is improved,and the labor saving is reduced.Four column hydraulic combination saw is an ideal device for a sheet processing. 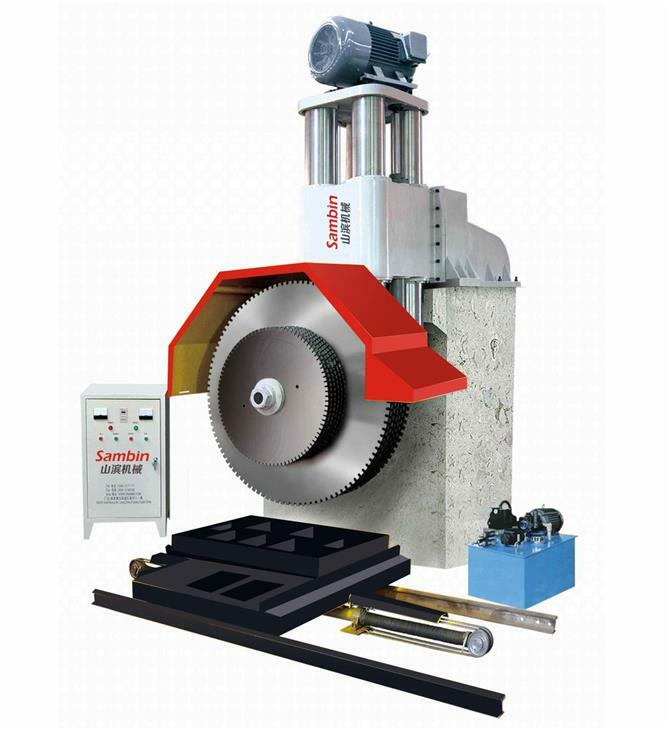 These series machines have reasonable structure, steady working conditions, and can be equipped with multi discs.These series single arm combined stone sawing machine can combine 6-20 saw blades one time according to use diameter 1600mm,1800mm,2200mm,2600mm.The lead screw of the trolley is equipped with protective device and clearance adjusting device,this setting mode improves the service life of the screw and the slice precision greatly.The lifting and lowering of the single arm stone sawing machine adopts the gear reducer to drive the lifting screw to use the saw blade lifting.the maintenance is convenient,the failure rate is low ,and the latest our column hydraulic lifting is also available. ·full sealed four-cylinderguider rail is used for rising and falling which makes the whole structure more stable.Reduces wear and keeps the machine in the best working state for long time. ·Traditional screw lift is replaced by hydraulic lift,which reduces mechanical wear, maintenance costs and time and lowers production costs. ·Using oil cylinder for towing trolley solves all problems about traditional reducer towing which leads to stable and reliable operation and long service life without regular maintenance. ·Electric automatic slice separating improves the precision of products,reduces labor intensity and improves production efficiency. Q: When the manufacturers shipped the product? A: delivery term within 15 days after get the down payment. In the future, stone machinery will develop in the direction of diversification, high efficiency, precision, automation and assembly line. Stone mining machinery is developing towards diamond rope saw, large mast crane and multi-bit drilling machine to adapt to the improvement of production efficiency of modern stone scrap; stone processing machinery is developing towards continuous production line; large sand saw, frame saw, multi-cutter, continuous grinder and surface treatment equipment, special-shaped processing machine, engraving machine and adding machine. Industrial centers will be favored by users; decoration machinery will show a trend towards miniaturization, portability and diversification; stone maintenance machinery will develop towards miniaturization, specialization, high efficiency and portability; stone testing instruments and equipment will be more specialized, standardized, universal, miniaturized and intelligent. Development; stone decoration design to computer, database, network development; the corresponding equipment, instruments and use of technology will also be an important part of the future development of stone software science. The introduction and application of stone CAD design software provides rich and colorful forms and patterns for stone decoration and decoration. The super-thin and super-large stone equipments have been developed one after another, which makes the new products more suitable for decoration requirements. New and convenient stone decoration machinery and tools are more widely used in decoration site. Stone cleaning, protection and bonding machinery have become a new application field of stone chemistry. 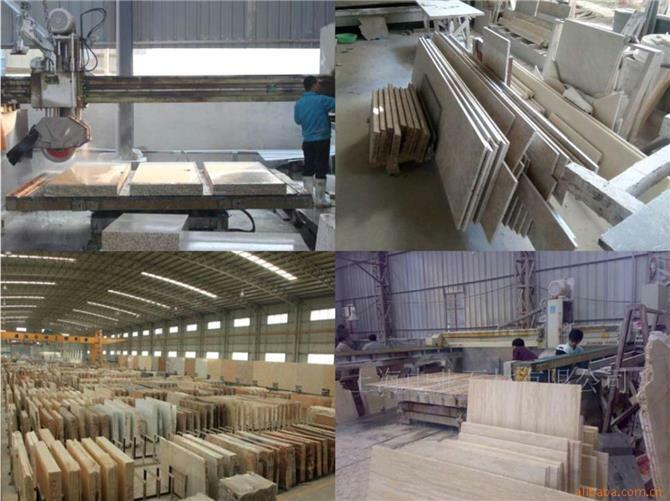 The production equipment of synthetic stone has been localized, which has promoted the utilization of resources and the development of the field of using synthetic stone.